Rendering courtesy WORTHGROUP Architect & Designers. Last week, more than 200 students were on hand to be among the first to get a workout in at the University of Nevada, Reno’s $47.5 million E.L. Wiegand Fitness Center. The center was officially opened to the campus community last Monday after more than a year of planning and construction. 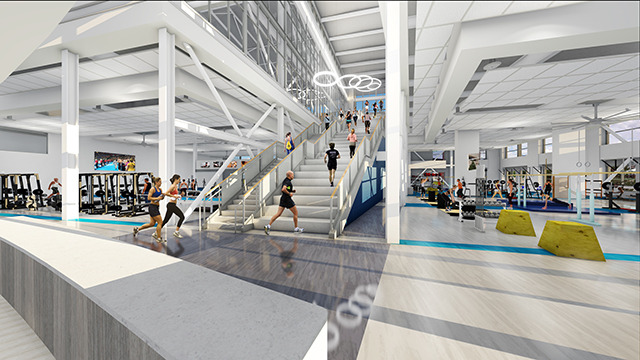 Among the features of the 108,000-square-foot space are an indoor track, three basketball courts, a fitness stairway and designated weightlifting and cardio training areas. It more than doubles the fitness space previously available on campus. University President Marc Johnson told KTVN-TV that the facility could help in student recruitment and retention. “We’ve learned through studies that a fitness center is one of the top five reasons that students choose a campus,” he said. 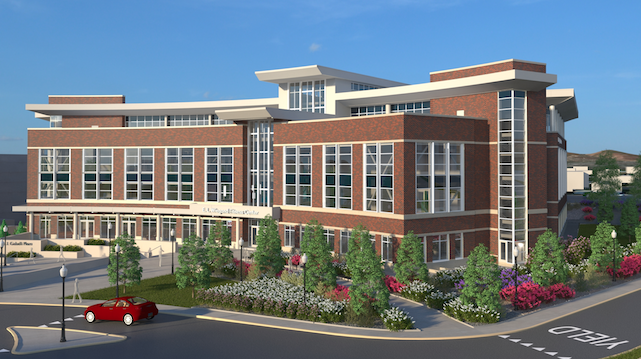 In addition to providing a boost to recruitment and retention efforts, the fitness facility is expected to improve quality-of-life and academic achievement among the student population. “There is a tremendous amount of research and data that connects student fitness levels to improved cognitive function, academic performance, social networks and engagement on campus, plus a decrease in stress and anxiety,” director of campus fitness and rec sports Jim Fitzsimmons told Nevada Today. The facility, a project by the WORTHGROUP Architects & Designers and Hastings+Chivetta Architects, was funded in part by foundation gifts, including an $8 million naming gift from the E.L. Wiegand Foundation. Student fees and bonds also contributed to the facility.